Ingredients: green split peas, spices (crushed red pepper, coriander, cumin, mace, cayenne pepper, mustard powder, fenugreek, cinnamon, ginger), salt, turmeric (for color), and garlic. I have been a vegan most of my 70 odd years and hands down this is the best split pea soup ever. 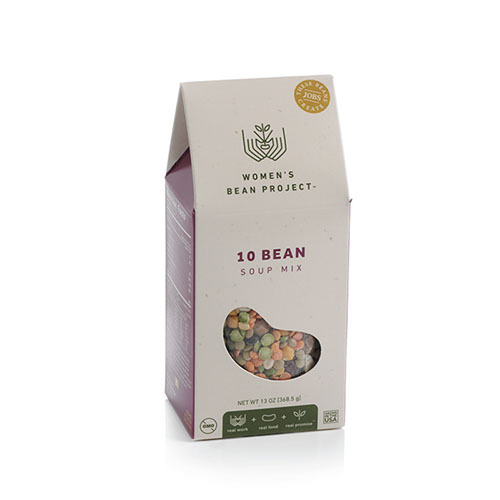 I also love how easy it is to make so I am a fan not just of the quality of the soup but of the whole package including the Women of the Women's Bean Project. My husband and I really enjoyed the split pea soup. The spices were just right, tasty and not too hot. Best Split pea soup ever! I love this site and everything that is offered! This site empowers people/artisans around the world while offering amazing products at fabulous prices. 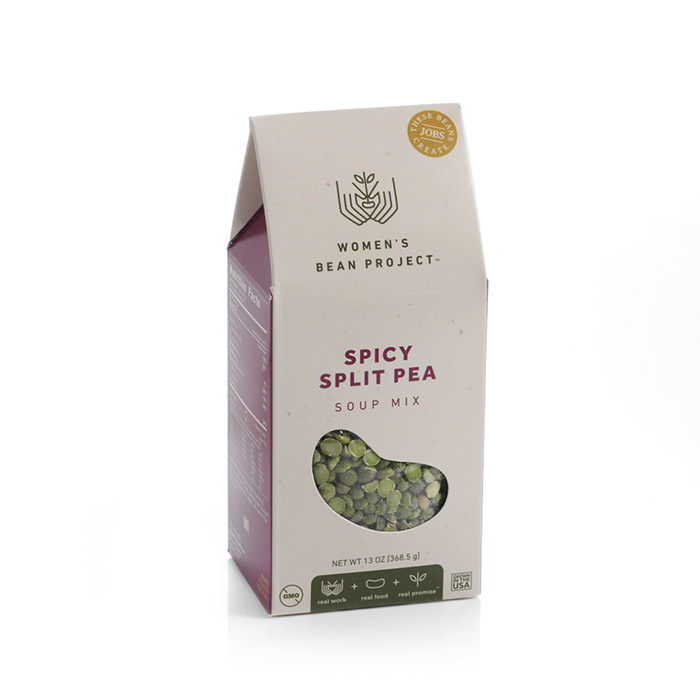 This soup by the Woman's Bean Project is not only the easiest split pea soup to make; it is the best tasting soup mix I have ever tried and that comes from a life long vegan of over 70 years! 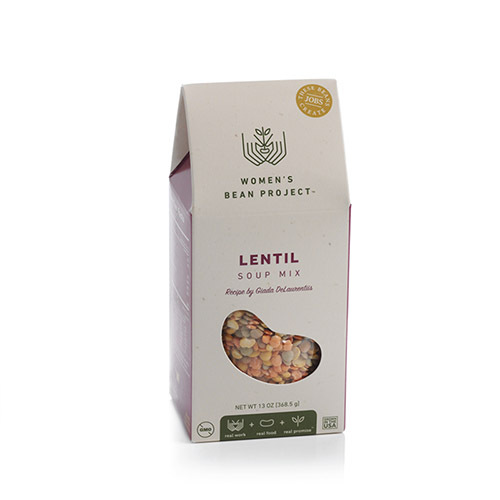 This soup is empowering woman right here at home in the US and that makes this the best deal on the planet for my wallet! Thank you!